The Glengoyne distillery was founded in 1833 and has an un-interrupted distilling history. Glengoyne's malt is 100% air dried making all their whiskies unpeated. Interestingly, the Glengoyne distillery lies on the border between the highland and lowland regions. The distillery is located on the north side of the dividing line making the whisky highland whisky. The warehouses in which Glengoyne is matured are across the road in the lowlands. 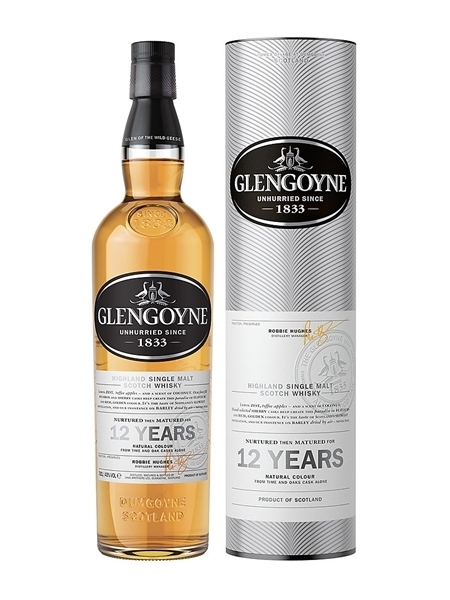 Glengoyne 12 Year Old (~€52) single malt is matured in sherry casks, natural colour and bottled at 43% ABV.